Historically, young people have apprenticed with their parents’ business. My father talked with great joy about going to work in the fields of the family farm with my grandfather at the age of 12. Today there is little opportunity for this, but coaching your own child can be a wonderful experience in working together. Many parents and children look back on their times together on a sports team as some of the best moments of their lives. Here are some tips for making that shared experience a positive one. Ask your child. “How would you feel about me coaching your team this season?” If he has reservations, it’s good to know that up front. If they are strong ones, you may want to choose to be a supportive sports parent, not “coach,” this season. Recognize that you wear two hats. Tell your child you need to treat her like everyone else on the team when you wear your coach’s hat. It helps when your child calls you “coach” during practices and games, not mom or dad. But when you put your parent hat on, she is the most important person in your life (along with other family members). Some parent-coaches even wear a special coaching cap. Positive Coaching Alliance develops BETTER ATHLETES, BETTER PEOPLE through resources for youth and high school sports coaches, parents, administrators and student-athletes. 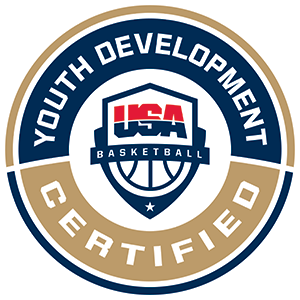 In addition to 1,000+ free audio-video and printable tips and tools at PCADevZone.org, PCA has partnered with roughly 3,000 schools and youth sports organizations nationwide to deliver live group workshops, online courses and books that help those involved in youth and high school sports create a positive, character-building youth sports culture.